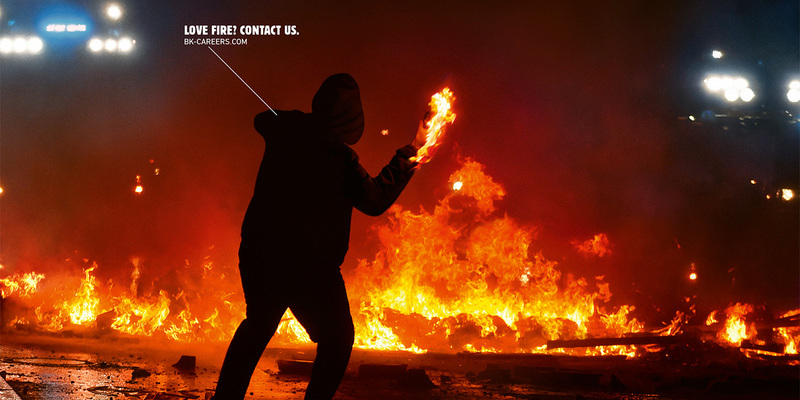 Burger King has a message for young people in Germany who like to play with fire: Apply for a job today! 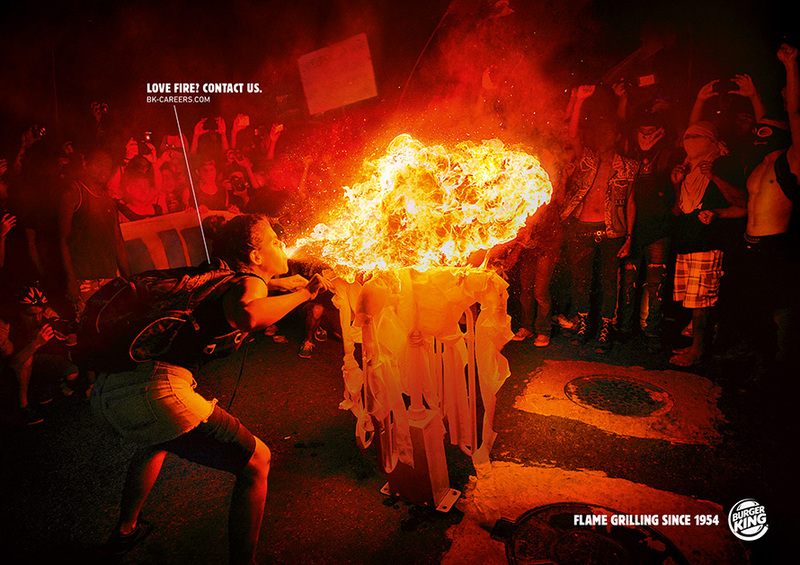 The fast-food chain that never shows any fear of getting burned turns up the heat once again in its latest campaign. 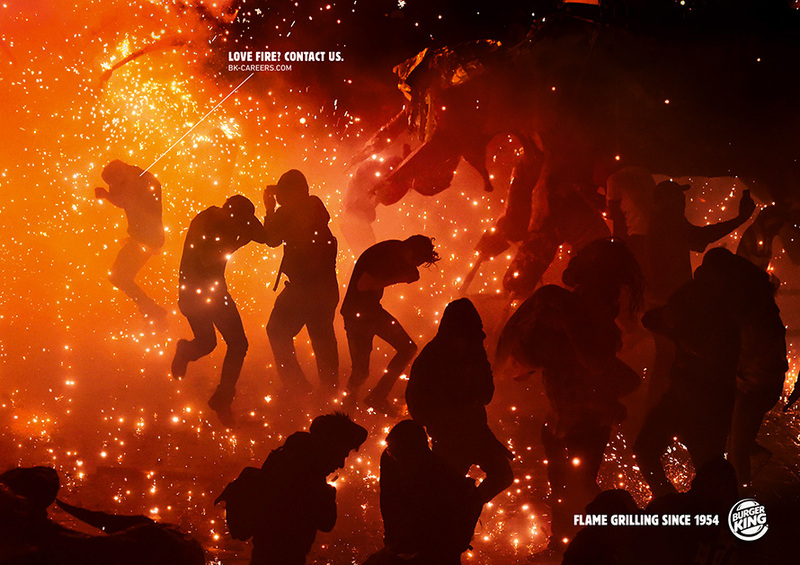 A series of print and out-of-home ads by Hamburg’s Grabarz & Partner capture visually striking moments of passion, pageantry and protest around the world that were all made possibly by man’s unending efforts to tame the flames. The campaign almost feels like photojournalism. 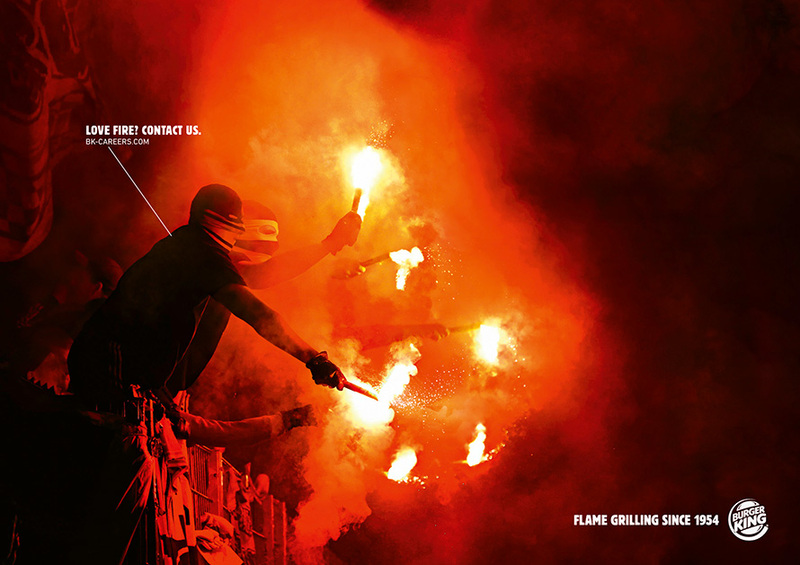 The subjects of the images include soccer fans brandishing their Bengal lights; a fire festival in Valencia, Spain; a flame-breather demanding improved living conditions in Brazil; and a masked anti-globalist armed with a classic Molotov cocktail. The ads direct readers to bk-careers.com, which redirects to BK Germany’s jobs page. Yet, while the campaign looks to establish the chain as an edgy employer, it all goes back to those burgers. 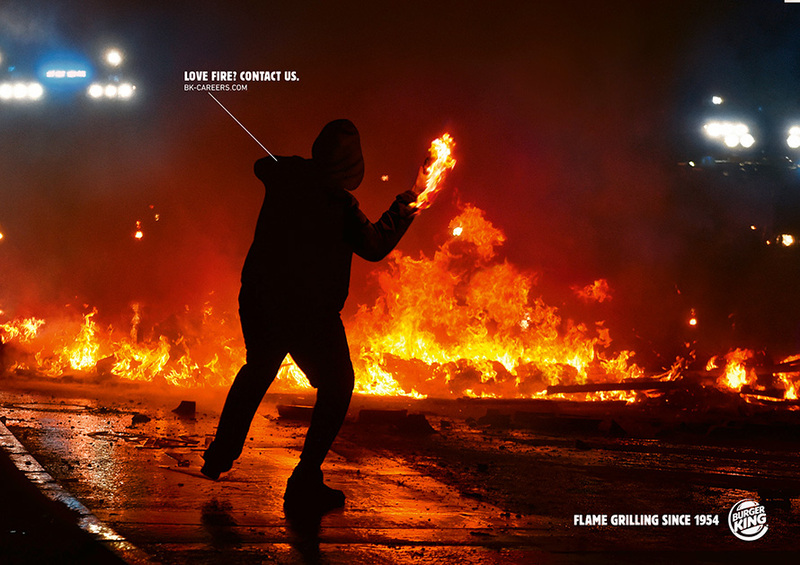 The work will appear on a series of billboards near prominent landmarks, with full-page print ads running in top German pop culture publications like 11 Freunde, Musikexpress and “heavy metal bible” Metal Hammer.